At this moment we are in the process of forming the official agenda for the Zabbix Conference LatAm 2019, the event will take place from 25 to 27 April 2019, in Porto Alegre, Brazil. The call for papers is open and we are pleased to invite you to present your ideas for presentations and lightning lectures. As usual, we are planning an electrifying event for you. 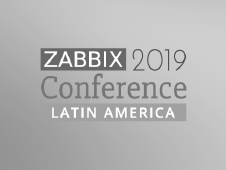 Before, during and after Zabbix Conference Latam 2019 you will experience an engaging entertainment schedule to make your days more dynamic during the conference. The preparation is in full swing and we will be happy to see you having fun and enjoying the event completely! If you plan to attend all entertainment events, be sure to sign up for any complete Conference package (Full) or Zabbix Fan package, these being those that cover all the activities of the official schedule and entertainment. Details of the Entertainment Program will be published soon. Stay tuned! More information about workshops will be available soon. For attendees who wants to certified they knowledge about Zabbix, it’s available 1 hour to do one of these exams: Zabbix Certified User, Zabbix Certified Specialist or Zabbix Certified Professional. To receive one of these title, you need: Buy with 20% off, one or more certifications exams from: Unirede Treinamentos | Zabbix Training Partner , schedule it! Attend it! And pass it! I will share my thoughts about future of Zabbix and more specifically about roadmap of Zabbix 4.4. I will also demonstrate how the new functionality helps to deal with real use cases and make monitoring much more effective and enjoyable. I will present Terraform, a tool that allows you to manage the infrastructure as a code. We will know the characteristics, features, history and paradigm shift. Two cases of use of Terraform will be demonstrated: How to manage the installation of Zabbix with Docker containers and how to interact with the Zabbix API. Presentation demonstrating the new Everyz, a Brazilian plugin that is integrated with Zabbix and used all over the world. Overview about regular expressions and how we can take advantage of them on Zabbix, briefly. It’s always good to have more time to do things, so why not automate some of them? With increasing demand and less and less time, every second counts and automating things helps you gain time and have more control. Diversity of infrastructure technologies, applications and IT services related to Zabbix inside Globo.com. 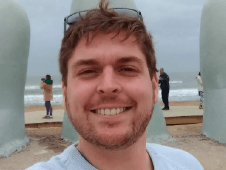 This talk will present a way to monitor proprietary network management through the SNMP Trap protocol and using Zabbix Sender. We will show you an automated mechanism for creating the hosts linked to your management with Zabbix active information delivery. How we automated reporting using the Zabbix API. It will be demonstrated on the API methods used, technologies, languages and reports processing architecture. The new Concessions require more efficient and customizable monitoring that adds value to the business. We will talk about the prospects for the new Road Concession bids, where we will talk about how the Zabbix tool can contribute to this specific and challenging market. I will present a successful case of implementation in the EcoRodovias Group with various personalized items using Zabbix 4.0 where we can reverse the weakened credibility of the company’s monitoring area. In a scenario with more than 139K of items and 50K of triggers, incidents occurring and customers being impacted, how to optimize monitoring processes? What can software robots do to add value in monitored environments? In this presentation, I bring some experiments developed in our NOC using robots of monitoring and automations. Demonstrate that with the native tools of the tool, linked to the developers integrated with the operations team (DevOps) it is possible to monitor modern web applications, which use features like APIs, REST and JSON. Saque e Pague is a technology company with an ATM network that has transformed the flow of money in Brazil. There are already more than 1,300 self-service terminals installed in 18 Brazilian states, in more than 230 cities. With more than 4.0 million transactions per month, it has already moved more than R $ 39 billion in the network. For the perfect functioning of this ecosystem there is a monitoring system integrated to this complex infrastructure. Zabbix as the main monitoring platform and often management of our main assets, our ATMs, contributes to the evolution and improvement of the company processes. The main errors in monitoring will be addressed: The problem of monitoring too much and / or less; Collection with very long or very short intervals; Use of generic and ready templates; Alerts with wrong criticality; Too many alerts; And so on! Case study of the use of NMS Zabbix in the Digital Cities project provided by MCTIC and deployed by Ziva. Cloud and DevOps, how Zabbix can contribute to this scenario. Companies are increasingly migrating their environments to Cloud in conjunction with DevOps Culture. 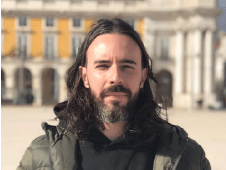 In this presentation I will demonstrate how to follow this digital transformation by monitoring a complete stack with RabbitMQ, Docker, Elasticsearch, Microservices and other technologies. Zabbix like any open source tool lacks “magical” automation, Westie seeks to aggressively deploy comprehensive monitoring of the customer environment and working with best practices. Zabbix applied in energy distribution market. The energy distribution segment is undergoing a process of technological transformation with great impact on business models. Great opportunities are being created. But in the same proportion, there are risks and a huge infrastructure to be managed. The Zabbix platform is one of the necessary responses to this new environment. In addition to monitoring, having asset management is important to companies. By bringing together these two technologies, it is possible to make life easier for IT administrators. I’ll talk about integrating Zabbix and KACE with the goal of monitoring and maintaining synchronized inventory. This talk is aimed at Zabbix administrators who want to learn some tips and tricks to improve the performance of the Zabbix system. 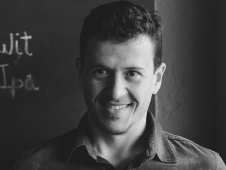 Alexei is the author of Zabbix, an enterprise-class open source monitoring solution, is also the founder of Zabbix LLC, the company responsible for developing Zabbix. 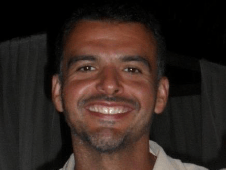 Want to speak at the Zabbix Conference LatAm 2019? Speakers have differentiated value in their inscription. To register as a speaker you must first submit your lecture for evaluation. If approved, you will receive an email with the approval notice and link to purchase the speaker package. The speaker package has all the benefits offered to participants. Submit your lecture in the form on the side for evaluation and wait for the positive or negative feedback regarding your participation as a speaker. Company name This is required. Job title / Position This is required. Contact phone This is required. Presentation title This is required. 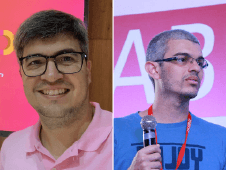 Want to join Zabbix Conference LatAm 2019? Sign up! Subscribe to the biggest monitoring and Zabbix event in Latin America. Come talk to experts from various places, set out your ideas and learn. Check out the available packages!